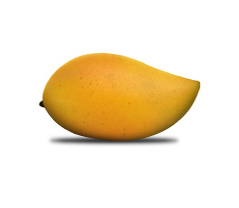 Totapuri Mango Pulp is obtained by processing sound, ripe mango (Magnifera indica +Ancardiaceae) under hygienic conditions. The Soluble solid contents of mango pulp before concentration shall not be less than 14% m/m as determined by refractometer at 20°C uncorrected for acidity and read as Brix in the international Sucrose Scales. The concentrate is strained free from peels, part for stones, other coarse part of mango and other substances or impurities. % TSS Bx 20° C : 14.0 mini. Comparable with peach. Typical of freshly extracted Puree from well-ripened. Fruit free from cooked flavor and off-flavor of any kind. It’s a base product for the Fruit Juice, Nectar, Baby Food, Jams, Yogurt etc.